The claws of the mightiest wolf are as long as a dagger and as hard as steel. 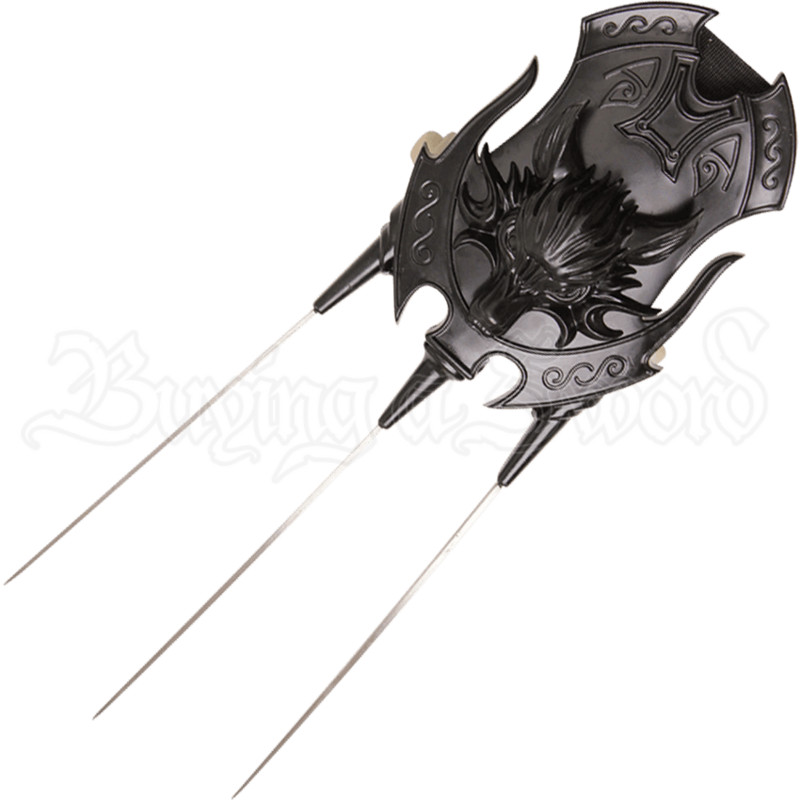 The Wolfs Head Wrist Blades make you the mightiest wolf in the area, as it is fixed with three steel, blade-like claws, and a dark, wolf-headed hand guard. The top of this decorative set of wrist blades is made to look like a stylized wolf paw. Three stainless-steel blades emerge from claw-like protrusions on the hand guard. The top of the hand guard is decorated with a wolfs head and swirling patterns around the border. A wrist strap and a handle allow you to attach this weapon to your wrist and control it. Decorate your home with this fearsome set of blades, or give it to a friend or loved one who enjoys bladed weaponry as a special gift!